It gets pretty cold out in New York state. Over in the western half the mercury can dip to imposing levels, while the snowfall makes it one of the most bitter regions of the United States. It’s here, though, amongst the snow and the ice, the blocked roads and frozen hinterlands that Interpol set down some roots, and began to record their best album in a decade. First, that album. Out now, ‘Marauder’ is a daring, atmospheric, biting return, the work of a group utterly at ease with themselves, yet also eager to push themselves past previous heights, to surge beyond previous boundaries. In short, it’s a pretty good listen – and it owes a debt to those sub zero temperatures. “You have to understand this is one of the harshest winter environments in the United States. It’s daunting. It’s a rugged, blue collar, wintertime environment,” smiles the band’s Daniel Kessler, as the sun beats down behind him. Taking time off in London, we meet by his hotel, a short slot in between record shopping and catching up with friends. Words pour forth, his relentlessly positive, excitable tone turning each sentence into stuttering gasps of musical wisdom. ‘Marauder’ is unmistakable as an Interpol record, in style and execution. Post-punk influences mingle with yearning songwriting, creating a potent brew that can even rival their celebrated debut album ‘Turn On The Bright Lights’ - in fact, the two records share a similar production trick. The choice to record largely in the studio, and predominantly on two inch tape, came from producer Dave Fridmann, a probing, inspired presence throughout the making of the album. Undoubtedly a very human record, Paul Banks’ lyrics are riddled with a desire for common humanity, taking a probing eye to difficulties both personal and societal. It’s often dystopian in tone, with the political climate in the United States overshadowed by the presence of that other New York institution, Donald Trump. This chaos has given added impetus to the writing sessions, underlining the chemistry inherent in the band’s work. Even after all this time – Interpol were founded in 1997, ‘Marauder’ is their sixth full length – it’s still a relationship that works. As thrilling as it was to record, ‘Marauder’ can sometimes be a foreboding listen – the band put it all on the line, the clipped, incisive performances pinning added tension on Paul Banks’ often coruscating lyricism. 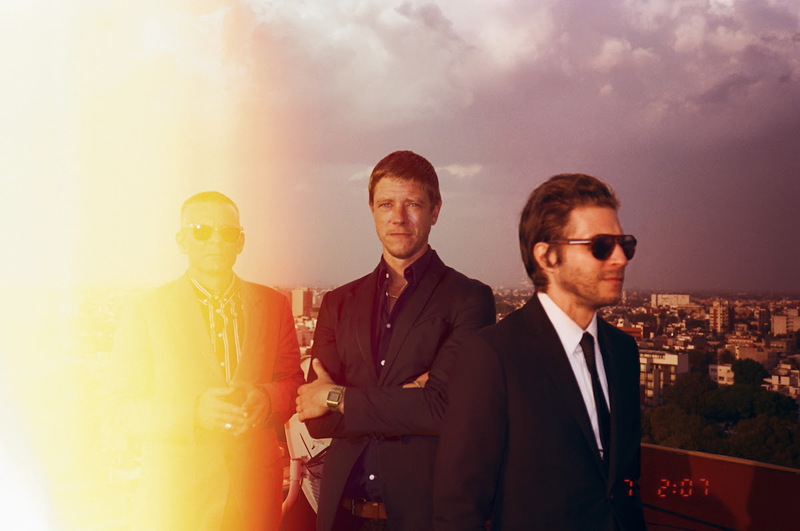 Ultimately, the conversation continually returns to New York – it’s Interpol’s base, a place both of inspiration and consternation. It’s changing: space is at a premium, meaning that rehearsal rooms and studios are being squeezed out.